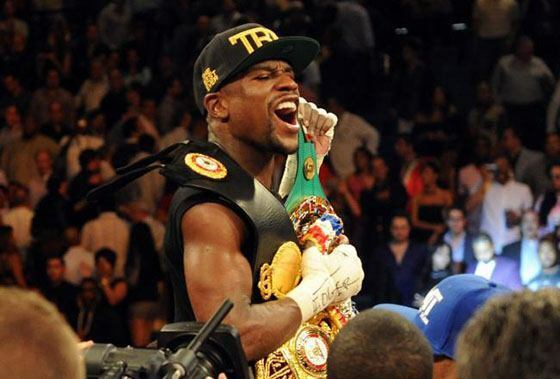 Mayweather vs Maidana – Battle of the Gloves? One of the biggest fiascos that hit the boxing scene this 2014 has also dragged one of the biggest boxing glove manufacturers in the world into controversy. 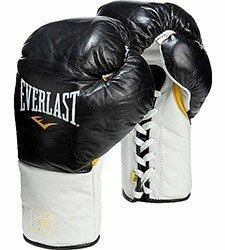 Everlast MX, a model of boxing gloves produced by the American boxing goods brand Everlast, is at the center of it all. And “Pretty Boy,” Floyd Mayweather Jr. is the instigator. What is the Everlast MX? The Everlast MX gloves are Mexican-style gloves. These are the very definition of the “punchers’ gloves.” With a soft leather exterior and a filling made out foam and horsehair, the glove allows raw power of the punches to come through, while still providing a snug fit for the hands. 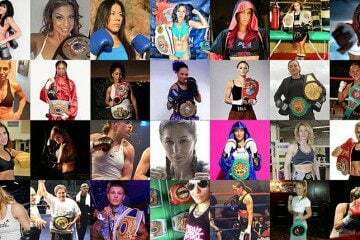 It is heavily favored by Mexican punchers (due in part to their aggressive and hard-hitting fighting style) and has already been used by fighters such as Miguel Cotto, Brandon Rios, Mikey Garcia, Mike Alvarado, and Nonito Donaire inside the ring. It all started on May 3, the day of Floyd Mayweather Jr.’s fight against the Argentinian Marcos Maidana at the MGM Grand Garden Arena in Las Vegas. Maidana wanted to use a pair of custom-made Everlast MX gloves, which were manufactured in the colors of the Argentinian flag (white, light blue, and with a yellow sun at the back of the hand). Mayweather’s camp, obviously, objected to this, stating that these kind of gloves has less padding around the knuckles, which can prove dangerous for Mayweather. There are pictures circulating on the net that showed the custom MX gloves in question, and these gloves certainly looked thinner and less puffier than what people are commonly used to seeing in competition gloves. Of course, the commission agreed with the Mayweather camp. They then ordered Maidana to use a stock model of the Everlast MX instead. But Mayweather also declined to allow Maidana to use the stock gloves. He wanted the Argentinian to use Grant gloves, the same type of gloves that he will be wearing in the match. Maidana was steadfast in his refusal with Mayweather’s suggestion. In the end, a compromise was made. Maidana used all-foam Everlast Powerlock gloves. He fought against Mayweather for 12 rounds, but then ultimately lost via majority decision. Rolling with the Punches – When Will it End? Maidana insisted that his loss was due to his unfamiliarity with the Powerlock gloves. Due to its dense foam padding, it is to be expected that a little bit of energy from Maidana’s punches will be lost (padding in boxing gloves disperse power and slightly weakens punches). Well, as things stand, it looks like there will be another Mayweather vs. Maidana this year. The fight, which is scheduled on September 13, will try to provide a more definitive answer to who is the better fighter between the two. But alas, the gloves fiasco continues. Maidana wants his Everlast MX, while Mayweather wants his Grant. It’s a very confusing state of affairs which makes one wish for the good old days when boxing matches were held with bare knuckles instead of padded hands.